After taking that gas, Sarah cough become better and I believe she is recovering. But one thing that make me relieve is, Sarah is still active as normal no matter how bad her cough ^_^. 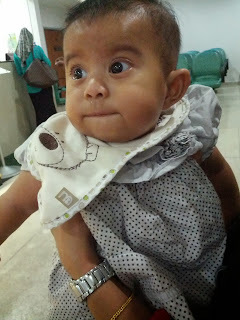 P/S: Pic Sarah after crying while taking nebulizer.